Representing all aspects of commercial interior fit-outs, refurbishment and building finishes FIS provides specifiers with a single source of quality interior specialists. FIS actively promotes good practice in the interiors sector to enable clients to achieve the high-quality projects to which they aspire, and is keenly involved with industry training and health and safety issues. 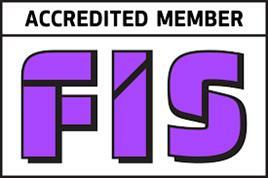 Part of our mission is to raise, maintain and ensure continuity of standards and to be a source of quality membership, giving specifiers peace of mind that the FIS member they engage will provide excellent service and results. Membership is not automatic, and applicants are subject to strict vetting procedures. Not only are members vetted on application, they are vetted every three years to ensure that they continue to meet the high standards FIS demands. Ongoing vetting comprises an on-site assessment, plus a detailed documentary review. The SafeContractor scheme provides a health and safety audit service for contractors who want to reassure their clients that health and safety is being handled correctly and sufficiently on their sites. Our qualified auditors review health and safety policies, procedures and documentation, taking into consideration trade, industry sector and business size. As a result, our safety audits are tailored to suit individual businesses, to assess whether there is suitable and sufficient health and safety compliant. In September 2017, we introduced two new levels of Constructionline accreditation, designed to accommodate the broadening needs of both suppliers and buyers in a one stop shop for Third Party Governance & Risk Management. Main Contractors have aligned to industry standards and best practices, such as PAS 91 and SSIP. Acclaim Accreditation is a member of 'Safety Schemes In Procurement' (SSIP), an umbrella organisation for stage 1 health and safety assessment schemes. 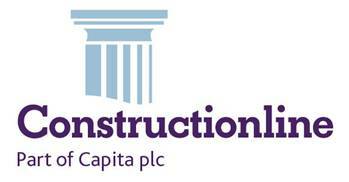 SSIP is recognised by a large and growing number of buyers within the construction industry. The Acclaim Accreditation assessment is undertaken by the experts at Capita Property and Infrastructure, who are a leading health and safety consultancy firm within construction. 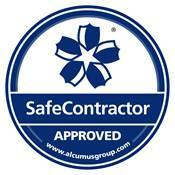 Acclaim Accreditation is a member of Safety Schemes in Procurement.